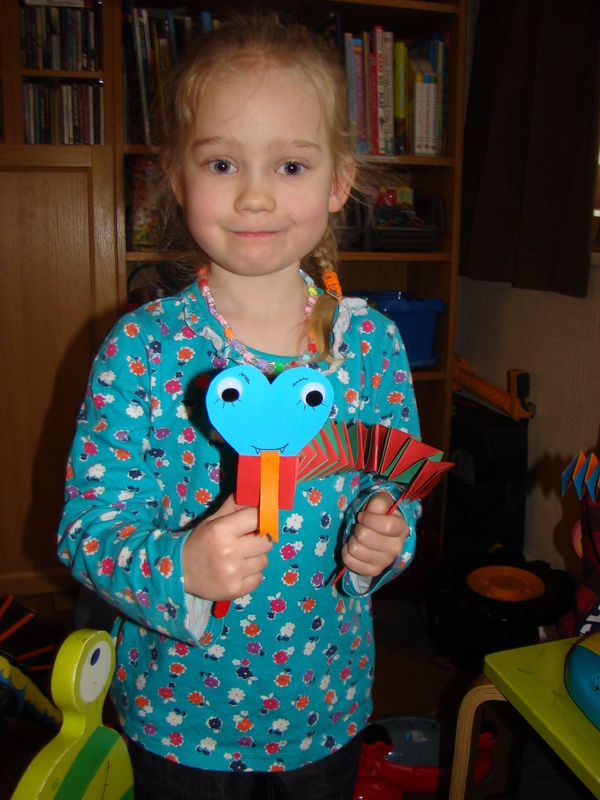 Following on from yesterdays Chinese New Year crafts, today we made paper snakes. 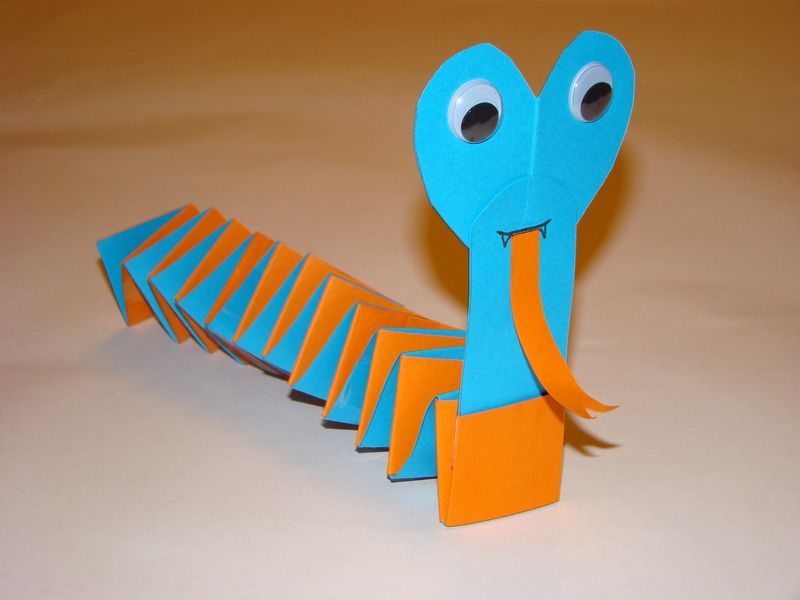 Take 2 pieces of coloured paper or card and cut out strips approximately 2.5/3cm thick. Tape the strips together to make 2 long strips of each colour. Lay the pieces out in an L shape and tape the end together. Accordion fold the paper until you have 4 or 5 inches of unfolded paper left. Trim one colour off and tape it so the accordion won’t unravel. On another piece of card/paper cut out a heart shape. Using glue or tape, stick this to the back of the long strip to make your snake’s head. Stick eyes and a tongue on to your snake’s head. We used googly eyes and a tongue cut out of card, and then drew a mouth on with black pen. 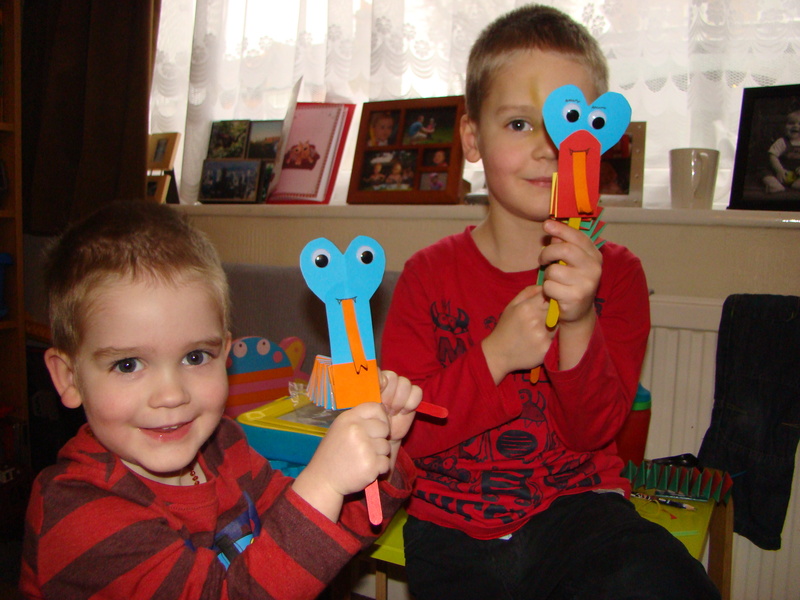 I also stuck 2 lolly sticks on to the finished snakes so the kids could use them as puppets, and Jasmine drew eyelashes on hers because it is a girl snake!